With the recent demise of iFunding and RealtyShares, I thought I would share a post from within the 506 Group. Long term members have warned members since 2016 to stay away form Realty Shares. The consensus is to invest direct with experienced sponsors with long track records. 1% a Day Passive Income with a Alt Coin Masternode - Is it Possible? I recently wrote a blog post about my Cloud mining experience with Hashflare. I made about a 25% return in 15 days and averaging over 1% a day mining BTC. So far so good! I have now uncovered another 1% a day crypto passive income stream, masternoid (MN). This is an open letter to all real estate sponsors. Investors want better reporting. Concise, short, informative, and easy to read reports. Unfortunately, most sponsors do poor job of communicating results with investors. I have over 50 equity crowdfunding investments and the quality of the quarterly reports varies wildly. Review - Real Estate Radio Guys Investor Cruise: Scam or Worthwhile? Now that taxes are behind me and the last of q4 statements and distributions are in, I pulled together all the financial information from my crowdfunding investments. Since November of 2013 until May of 2017, I made 126 crowdfunding investments. 42 have gone full cycle and that leaves 88 investments outstanding. Its Tax time! That dreaded time of the year for everyone, but especially for real estate crowdfunding investors. I’ve competed my own taxes for over 30 years and I’ve used TurboTax for the last 15+ years. After spending a mind-numbing week entering close to 100 K1’s into Turbo Tax and trying to determine which states to file a nonresident return, I have given up. Next year a cpa will take over this chore. I am often asked how CrowdDD and the 506 Investor Group came to be. I discovered equity crowdfunding from an article about Angel List in November of 2013. I invested with a couple of syndicates on Angel.co and on FoundersClub as an angel investor. I quickly learned I did not have to knowledge or skills for investing in startups. I made many post over the years showing the yearly and quarterly results of my crowdfunding investments. While that information is useful, the most important metric is the final results once an investment has gone full cycle. I’ve invested online for over 3 years now and of the 95 real estate investments, 31 have gone full cycle. While the majority of this blog is about investing in real estate and other passive investments, I wanted to share a new passive “income” stream I just discovered. Over the last 2 months, 6 checks have appeared in my mailbox form $42 to $190. I suspect I will get between $2,000 and $3,000 every year. 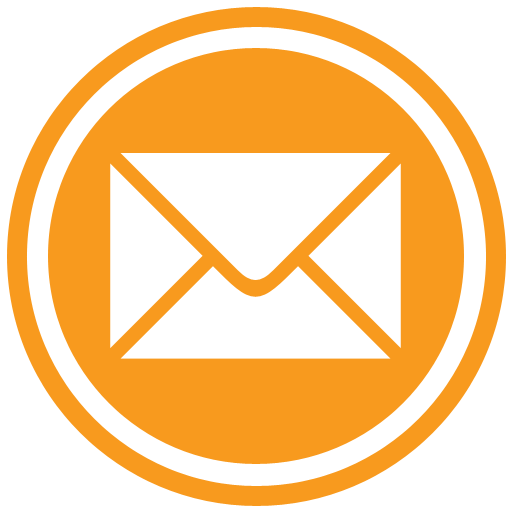 As the 506 Investor group grows, the amount of email and post can get overwhelming for some members. To help alleviate this and still grow our "buying power", we will offer new members two choices. The 506 Investor group is a private group that discusses and shares due diligence on crowdfunded real estate investments. All information shared is private and confidential and the public does not have access to our post. We hired new programmers and fixed most of the bugs at CrowdDD. The Overall Rating sort is fixed. You can now see the number of ratings and reviews for each sponsor or platform. In addition you can choose how may results to display per page. Two of my Realty Shares equity investments have now gone full cycle. The first Chase condo conversion netted about an 18% IRR. I suspect the project did much better, but the sponsor never gave a full accounting and may be in Mexico as far as I know. Should You Use Extreme Asset Protection? We launched the real estate focused version of CrowdDD yesterday. We have some bugs and we are working to resolve them. I am asking for any suggestions you may have to improve the site and make it more useful. If you have any ideas, please use our Contact Us page. Today we relaunched CrowdDD in Beta. We are now solely focused on Real Estate investing. 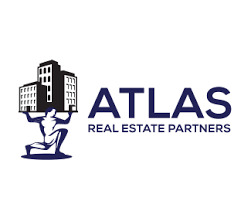 The site now allows members to rate and discuss both real estate sponsors as well as real estate crowdfunding platforms. We will only accept accredited investors with real estate investing experience. We are manually approving new members to ensure the reliability and accuracy of our site’s ratings. Working out the last few bugs on CrowdDD transition to real estate sponsor and platform reviews. It should be ready this month. In the meantime, the private investor group I co-founded is planning its official launch. The 506 Investor Group is an invite only group for accredited investors that discusses and shares due diligence on both crowdfunded and syndicated real estate investment opportunities. Our programmers have hit a few snag on changing the focus of CrowdDD 2.0 to evaluating real estate sponsors. Hopefully in a few weeks we will be ready for our re launch. As 2016 comes to a close, I thought I would recap where I placed new capital during the year. I made 18 Real estate crowdfunding/syndicate investments. We are late in the cycle and I continue to invest defensively. We are in the process of revamping and changing the focus of CrowdDD.cvom. We built the site to be the internet’s resource for crowd sourced due diligence on Angel and real estate crowdfunding investing. However, for a variety of reason the site has not lived up to its potential. Sec rules, cease and desist letters form crowdfunding platforms also contributed to the sites stagnation. My last Blog post discussed my ratings based on the private email group. Here is an example of our discussions. While we are private, I wanted to share a discussion the group had about a potential investment. This will give you an idea of the power and knowledge of a crowd when it comes to evaluating a deal. In order to diversify and find better ways to invest, I test new sites and methods. Over the years I tried WealthFront and Betterment (Robo Advisors for securities) and lending sites Funding Circle and LendingClub. Today I will discuss my LendingClub experience. This is the fourth on my investment status through the first half of 2016. The three post were about my Real Crowd, Realty Share and direct investments. Today’s update is from my investments on the other platforms. I learned a valuable lesson this week. Don’t assume all fees are created equal and read the fee section of a PPM very, very carefully. I thought I would give a quick update on my Realty Shares crowdfunding investments. I invested 13 times with Realty Shares during the past 2 years. I currently have 10 active investments and three have retuned my principle. A member of our email real estate Crowdfunding email list Robert C, recently shared his list of due diligence tips investors should follow while evaluating real estate investments. Most of this advice came from Jeremy R., a full time real estate investor. I strongly believe if you follow this advice, your chances of success will increase. Tesla Model S Is Now Self Driving! This is the fifth in a series of blog post about returns and tax implications from my crowdfunding investments from 2014. The four post was about my investments from Realty Shares, ifunding, Realty Mogul, and Real Crowd. Today’s post is about my twelve investments with Patch of Land. All of patch of Land’s projects have meet expectations. I earned 12% on my POL investments. I just wanted to add a quick update on one of my crowdfunding investments from last year on the RealCrowd platform. In May of 2014 I invested in Slauson industrial and office building development. The project was a ground up development and they estimated that the property would be ready and sold by September 2015. If there is interest, I will post after I make a commitment to a crowdfunding investment. A few people have emailed saying that it may help to see when others invest. I may post when I pass as well. When examining the different fee structures in real estate deals not only is it important to look at the fees charged against the investment portfolio, but also at the fees charged by the sponsor against the project because this effects the potential of any upside returns in excess of the preferred returns. 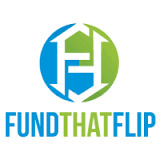 Real Estate Crowdfunding Platforms Fees - Can Kill Your Return! 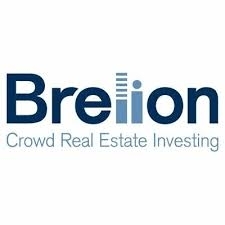 Venture Capital funding continues to play major role in Real Estate Crowdfunding market. This process is facilitated by the development of new real estate search websites which began about one decade ago. These new websites are dedicated to helping the average consumer find homes and other real estate properties available for sale in the real estate markets. Can you Earn 25% or more with Crowdfunding investments? This is the third in a series of blog post about returns and tax implications from my crowdfunding investments from 2014. The first two post were about my investments from Realty Mogul and Real Crowd. Today’s post is about my three investments with ifunding.co. Some of my investments with ifunding have been problematic. On March 25, 2015, the SEC approved the new rules for registration by any non-public American or Canadian company to raise up to US$50 million during a twelve-month period through Regulation A+ offerings made to the public. Under this new rule, companies may accept both accredited investors and NON-ACCREDITED INVESTORS, which means anybody. This is the second in a series of blog post about returns and tax implications from my crowdfunding investments from 2014. The first post was about my four investments from Realty Mogul. Today’s post is about my five investments with Real Crowd. All of Real Crowd’s projects have meet or exceeded expectations and pro-formas. During the past 14 months, I have made over 50 debt or equity crowdfunding investments. I quickly realized that due diligence is difficult, but not impossible. There are 4 basic steps needed to evaluate a real estate debt crowdfunding deal (shared below). I felt that once that’s done, it is also helpful to learn what other investors think about the deal. Did you know that the JOBS Act of 2012 is not related to employment? The JOBS acronym is short for the Jumpstart Our Business Startups Act. Signed into law in 2012, the section allowing Equity Crowdfunding was finally implemented in 2014. So how did the first year go, and where are we going with it in 2015? Jilliene Helm, founder of Realty Mogul was gracious enough to answer a few investor questions. What Is Equity Crowdfunding and Why Should I Care? What is equity crowdfunding and why should I care? The simple answer more money for you and higher returns for your idle cash. Relatively safe short term (six to nine months) crowdfunded real estate loans are paying investors 9%- 13%. This certainly outpaces the .25% money market funds returns. We asked WeFunder several investor related questions and Mike Norman was kind enough to provide us with his company's answers. Crowdfunding, REITs, or direct lending: Which do you choose?